Uptime is a computer technology term for the time period when a server remains online and is accessible. If the server of a website is offline and is can’t be accessed by the visitors, it is termed as Downtime. In general, Uptime is measured in percentile. A server with an uptime of 100% means that the website is always online with no downtime. Site uptime monitoring is very important. Why it is important to monitor Downtime and Uptime in WordPress? Suppose you have a stunning and attractive website and you have been toiling hard to develop your visitors and users. Did you ever think what will happen if your website goes offline due to some reasons such as server crashes, coding errors, hardware malfunction, DNS problems, down for maintenance, natural disasters and online attacks? A downtime of a website could harm your reputation, possible customers, clients and money up to a great extent. It will be very difficult for you to retain your old visitors and organic ranking when your site goes online once again. Actually, It is important for a website to remain online at all the times so that visitors can see it any point of time. Website uptime plays an important role to retain and grow traffic and make leads. Most of the hosting services frequently boast of 99% uptime. But, even a 1% downtime means a little over 3.5 days, which can cost your reputation, possible customers and money. When your website goes offline frequently, then, search engines may consider your website as low quality and penalize it too for not maintaining 24/7 uptime. This article will let you know how to monitor your server uptime in WordPress and make sure that your website never goes down. 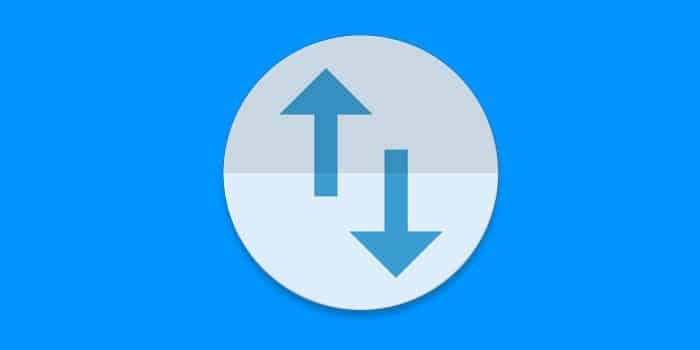 This free plugin monitors your website’s Uptime every 5 minutes. It asks for your website headers and if it get particular status codes, then it knows that your site is down. If it happens, this plugin will make numerous more checks in the next 30 seconds to confirm your site's status. If your site is down, it will send you alerts through Emil, SMS, twitter and various other options. StatusCake is of the best Uptime monitoring plugin you can use to find out what is going on with your site. It has user-friendly Interface and it checks your site server/site in every 5 minutes. Using this plugin, you can check Uptime for several websites from multiple locations around the globe. It notifies you when your site goes down and is live again. A large number of people use WordPress as their preferred Content Management system. Jetpack by WordPress.com is a boon for bloggers as this plugin helps them to make their blogging life easier with its functionalities. It acts as one plugin solution for many problems. In short, this plugin can check your website in every 5 minutes and sends you email notifications whenever your site goes down and comes up. The best thing about this plugin is that it is totally hassle-free and easy to use. You can use a third party website monitoring service to keep an eye on several activities on your websites. A monitoring service enables you to schedule the monitoring jobs against your website in an easy way. Just sign up with a third party service and configure the monitor with the help of an online form. When you use website monitoring software, it enables you to schedule HTTP requests against your website regularly. It means that you can easily configure the software to check your website continuously and make sure it is available to visitors at all the times. If your website goes down because of any reason, you get notified via Email. Always keep in mind that you must install website monitoring software on two different computers so that if the first machine hosting the monitoring software becomes unavailable, you may keep monitoring your website as usual without facing any difficulty. When it comes to choosing a web hosting company, it need to be careful as this job is not as easy as buying groceries. You have to consider several things in mind. Most of the web hosting companies promise 99.99% uptime, but they hardly fulfill it. Don't believe their words blindly and conduct your own research about the performance and track record of the web hosting company you are going to choose. Always go for those companies that caters to WordPress hosting smoothly. *WP Security Lock recommends: Liquidweb or WPEngine. Taking care of website security is extremely important as online hackers cause you a serious damage and increase your site's downtime with several malicious attacks. You need to take all possible steps to secure your site against online threats. If you protect your website from security breaches, you can easily increase its uptime. Don't hesitate to get your site reviewed from website security experts if you have problems in understanding the complex terms of site's security practices. *WP Security Lock offers monthly security packages and includes site uptime monitoring plus also recommends using iThemes Security Pro. You also need to be serious about your site. As site's loading speed is an important factor in SEO, you need to check your site's loading speed on various devices yourself and take steps to sort out issues if there any. When you pay attention to your site's loading speed and its performance, you will come to know the various reasons that contribute to your site's downtime and cause you a serious damage. E. Use CSS text in place of images. When you have a light website, it will put minimal pressure of the server you are using and chances of site crash will be minimized up to a great extent. Website uptime matters a lot as if your website goes offline even for a single minute, it causes you great damages in terms of your site's reputation and revenue. With the help of above mentioned tips and recommendations, you can easily track uptime and downtime of your website and ensure it is reachable to your visitors at all times. Author Bio: Lucy Barret is a creative writer and an experienced Web Developer. She is working as an HTML to WordPress conversion expert at HireWPGeeks and delivering great results for her company. You can follow her company, HireWPGeeks on Twitter.